Market Report Update: Beginning for 2017, rather than publish individual Market Report posts for each building, we will add the most recent Market Report to this page. If you are interested in this community, you might want to bookmark this page for future updates. 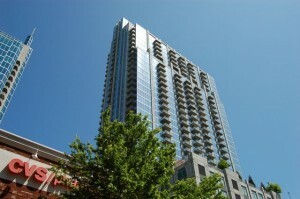 Viewpoint Midtown Atlanta is one of the newest additions to the Midtown Atlanta condo community. Located on Peachtree Street, directly across from Spire Midtown Atlanta, this Novare Group building offers 1 Bedroom, 1 Bedroom plus Den, 2 Bedroom, and 2 Bedroom plus Den floor plans in a 36 story tower. Visit our community page @Viewpoint Midtown Atlanta where you will find a slide show of the building interior and amenities. If you are looking to buy or sell in Viewpoint Midtown Atlanta Condominiums, understanding the market trends will better help you make an offer on a home for sale, or determine your pricing strategy if you are selling your Viewpoint Midtown Atlanta Condominium. It was a great year in Viewpoint as 54 new owners moved into the building. A breakdown of those 54 sales, shows that 23 One-bedroom homes sold with a price range of $200,000 – $295,000. There were 7 two-bedroom/one bath (these are most likely one bedroom + den floor plans that Sellers/agents listed as a two bedroom….and is somewhat of an incorrect listing. But it does help boost the price….) as they sold in a range of $240,000 – $302,500. 24 Two-bedroom homes sold in a range of $382,000 – 491,542. These sales prices have consistently climbed upward over the past couple years, should now remain well in the mid-$400,000 range. Within the 24 sales, there were two Penthouse-floor homes that sold. Number 3602, a two-bedroom, 2.5 bath home sold for $960,000 after just 7 days on the market! Number 3601, a two-bedroom, 2 bath penthouse sold for $1,120,000 and the MLS shows it on the market for just ONE day! The average days on the market was 48 in 2016. I deep look into those numbers showed some interesting, but odd times on the market of 301, 271, 110 and 99 days just to name a few. The 301 days was for Number 1104. This floor plan looks directly out on the Zen Garden area, and has a smaller living space. So it can make it be a challenging floor plan to sell. Viewpoint Midtown is a great living opportunity, and we look forward to helping many new home owners arrive in this building in 2017. If you are looking to Buy or Sell a home at Viewpoint Midtown Atlanta Condominiums, MyMidtownMojo can help! Selling: Do you want to sell your Viewpoint Midtown Atlanta Condominium? Call us today at 770.713.1505 to schedule your free market analysis of your home. Or you can complete our Seller Information Form. Are you “upside down” or owe more than your home is worth? If you need to sell your home, you have other options besides a foreclosure, such as short selling your Viewpoint Midtown Condominium. 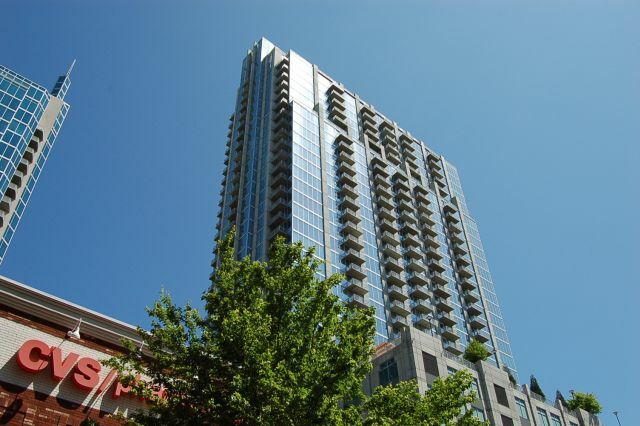 Buying: Are you looking to buy a Viewpoint Midtown Atlanta Condominium? We can search for you, and even build you a custom website that will alert you daily of any new listings in the building. Just complete our Buyer Information Form and we’ll get to work!